A compact ride-on sweeper for medium to large area cleaning, with Honda petrol power for convenient and economical outdoor use. Clean larger outdoor areas with ease. 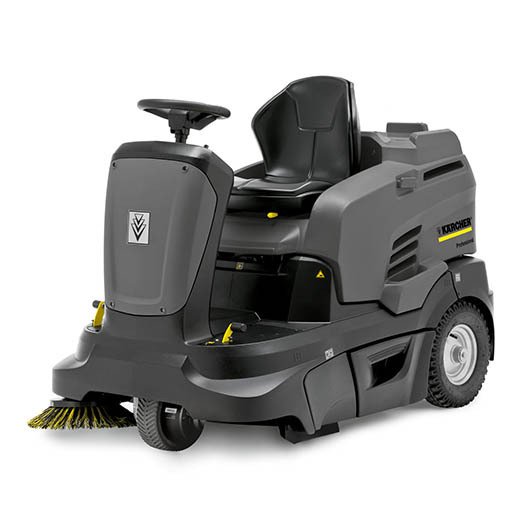 The KM 90/60 RP is perfect for high performance outdoor cleaning with its user friendly, easy maintenance design. The machine is exceptionally agile and is very simple and comfortable to use. 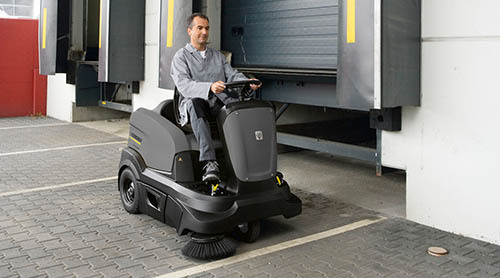 Ideal for cleaning various floor types including asphalt, pavements, concrete, hard floors and carpet. With an efficient Honda 4-stroke petrol engine, the machine offers area coverage of up to 7200m² per hour. 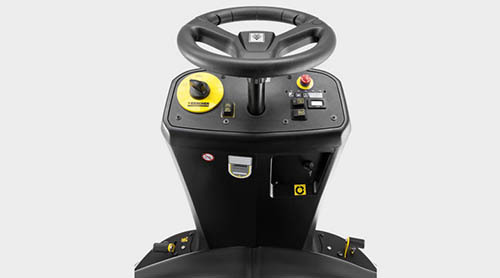 This machine is ideal for contract cleaners, logistics, car parks, automotive, craft and industry and local councils. 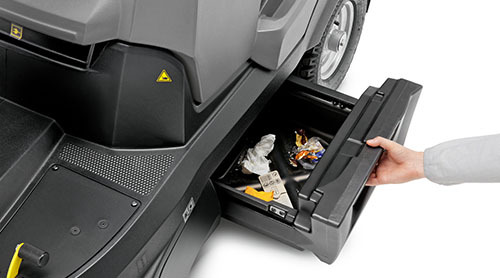 The machine has a working width of 900mm as standard and a waste capacity of 60 litres, contained within two convenient, easy to empty drawer-type waste hoppers.